We're not all talented when it comes to drawing but the Sketch-it helps level the playing field. Its a clipboard unlike any we've seen. The surface is textured and by applying a bit more pressure than normal you'll draw lines straight as an arrow. 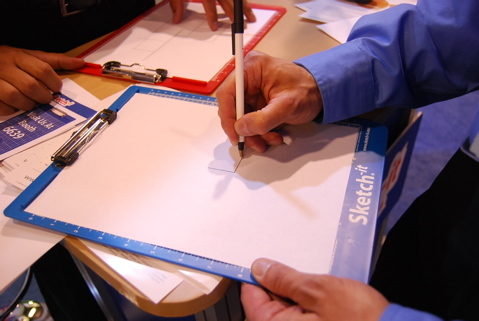 Laying out plans are a cinch with the Sketch-it and no need to worry about your drawing skill or trying to translate a plan that only you can read.